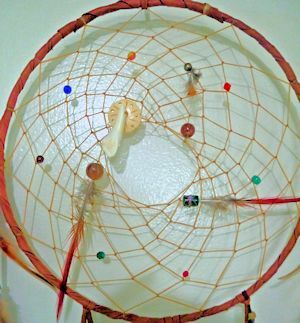 This beautiful dream catcher features a genuine buffalo carved bone button and buffalo tooth in the web, as well as 5-10 glass, stone or bone beads (depending on hoop diameter). Shown in the 15" size with rust burgandy deerskin leather, 5 long pheasant tails and dozens of yellow golden pheasant feathers adorning the fringes. 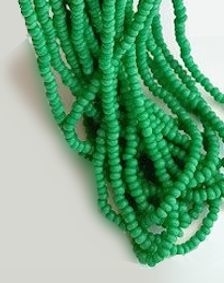 15"-36"(25.4 - 38.1 cm) in total length, depending on hoop diameter.